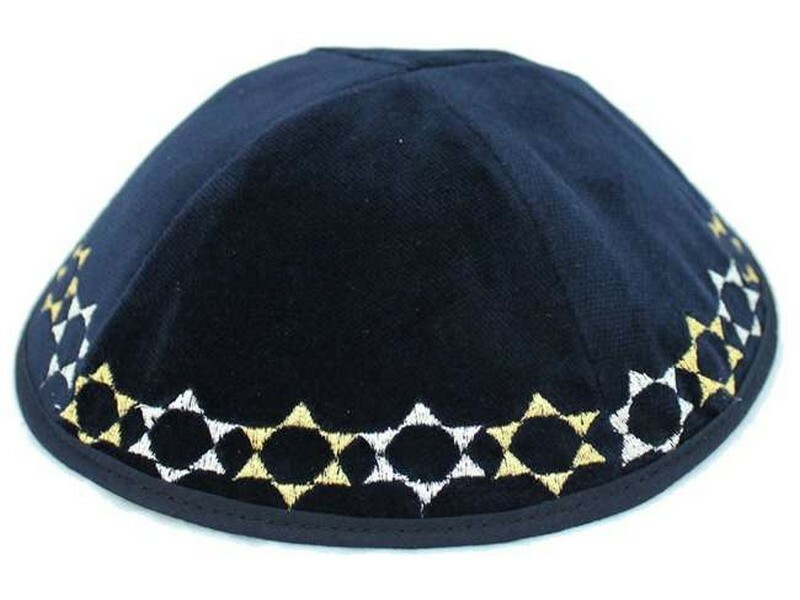 The four section navy blue velvet kippah is embroidered with Stars of David which encircle the bottom base of the kippah. The Stars of David are embroidered with gold and silver thread, creating a beautiful border. This kippah is available in one standard size.